The Harcourts Cranbourne office is large, modern and set amongst the retail centre lining the wide boulevard of High Street (South Gippsland Highway), located adjacent to Centro Cranbourne Shopping Centre and on the corner of Bakewell Street. This prominent corner location ensures that your property receives maximum exposure while being marketed by Harcourts Cranbourne. Integral to the Real Estate Industry is working within a highly motivated team environment. Harcourts Cranbourne is at the forefront with its business systems, customer support, online technology and a full range of marketing tools. This ensures the best result and the highest levels of service. MISSION STATEMENT.... .Harcourts Cranbourne is a team offering a high standard of service, customer care and ethics essential to Homesellers, Homebuyers, Landlords and Tenants. This has given and continues to give our office a high level of outstanding local reputation. Both in Sales and Property Management we strive to constantly improve ourselves and always focus to achieve results with integrity. SALES..... Understanding the changing trends in the Real Estate industry means we are responsible for solutions designed to achieve the best results. Whether you are buying or selling your family home, investment property or large rural acreage, a marketing strategy and method of sale needs to be individually tailored to your property. PROPERTY MANAGEMENT..... Our Property Management department is focused on delivering consistent levels of service to both property owners and tenants. Our team has been carefully selected to provide owners and tenants with leading edge technology, integrated systems and procedures that will ensure the highest level of quality and service. THE STANDARDS..... Our office is a team offering a high standard of service customer care and ethics essential to Sellers, Buyers, Landlords and Tenants. Focusing on excellence in Real Estate and creating clients for life in Cranbourne and surrounding areas are imperative to Andrew Cassimaty, Director of Harcourts Cranbourne. “Real estate in Cranbourne is booming and our vision for the office is to be the number one choice by Home sellers, Landlords, Tenants and Homebuyers.” Residing in the City of Casey and fulfilling the daily role of Sales Manager, Andrew is extremely passionate about supporting the growing development of the team. He realises that the real estate industry is rapidly changing and evolving within Cranbourne and the surrounding suburbs and feels that it is imperative to remain at the forefront of technology and continual industry training. Andrew is passionate about Real Estate in Cranbourne and his enthusiasm for the industry ensures that he is truly committed to meeting the needs of the company and its clients 100% of the time. Leon D´Penha is a local agent who lives in Cranbourne and enjoys what is offered by the town. Leon knows the best selling point of each area of Cranbourne and takes pride in marketing every property so it stands out from the others. With all the enthusiasm, energy, determination and skill to succeed in his local area Leon has proven his passion for the town and recognises the development and growth that is expected in the years to come. His background is in the Health & Leisure and architectural finishes industry for over fourteen years in the UAE (Dubai). Leon spends his spare time his wife and 2 children together with a passion for travelling, music and various sports. He speaks over four different languages fluently which makes it easy for Leon to communicate with people from all different backgrounds. If you are looking at breaking into the Cranbourne property market, are keen to upgrade/add to your investment portfolio or are considering selling or need a market appraisal you can be most assured that Leon will take the time of day to make it a pleasurable experience for you and will definitely give you the right advice along the way! Taking great pride in his negotiating skills Leon has the ability to deal with people from all walks of life - a trait he attributes to some of his success. To experience Leon’s difference.......call today!! Peter has been in real Estate for 20 years having started in industry with Blackburn and Lockwood in 1995. At that time he lived in Seaford and most of his sales activity was around the Frankston, Seaford, Carrum, Carrum Downs and Langwarrin areas. 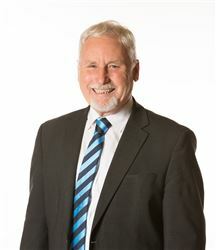 In 2001 he opened his own Real Estate Office in Tooradin and took up residence in the town and is active in the local community. Peter sold his Real Estate Office in 2011. After this he afforded himself and his wife some holiday time in Europe and locally. After this he worked for the firm that purchased his business prior to joining Harcourts Cranbourne in 2013. During the time he ran his own business in Tooradin he sold all sorts of properties from Beach Boxes to a Freehold Hotel as well as houses, farmlets and businesses from the East (Alberton) to West (Rosanna)and from North (Tynong) to South (Wonthaggi). Peter relishes selling properties others have trouble selling and are reluctant to tackle. With more than 9 years of experience in real estate in Cranbourne, Waseem’s top priorities are to build solid long lasting relationships while striving to offer you the best possible solutions to your requirements. Waseem Asif is ” Clients always come first”. When dealing with him you will find that he completely understands that real estate is all about people. Courteous and professional in conduct, Waseem relies on being honest, maintaining an open communication and listening to his client’s needs. Being a family man himself, Waseem understands that he is not just selling houses but people’s homes which is why his key objective is to creating a positive compelling experience for all concerned. Waseem is also a big fan of regular training and updates in the real estate industry in order to be able to offer innovative solutions and unforgettable experience to his clients when dealing with him. Outside o f real estate, Waseem loves to spend outdoor time with his family frequently. 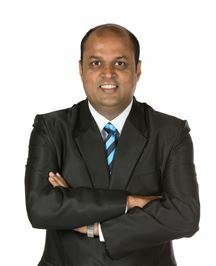 Having come from a business back ground, he also has a passion for playing cricket and can give you a lot of tips. Emma started her career back in 2008 in Commercial Real Estate starting as a receptionist and working her way up through the levels of the company. Emma’s current role as Rental Department Manager guarantees she will deal with a variety of people and situations daily. Emma relishes knowing that every day is interesting, offering not only something different but also new ideas and skills to be developed, ensuring that she continues to grow, offer up to date knowledge and the best possible service at all times. Emma has a very strong understanding of the importance of customer service, Emma always interacts with the highest level of professionalism toward both landlords and tenants, striving to achieve 100% customer satisfaction at all times. Emma enjoys the day to day challenges and variety of property management and that no day is ever the same, ensuring her clients are satisfied with her service on a daily basis is a priority. 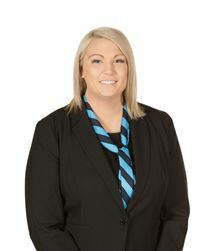 Laura first started in the Real Estate industry in 2017 working as Reception/Administration/Sales and Property Management in a small country town in Gippsland. From there, Laura moved to Cranbourne and has gained knowledge and experience of the area. 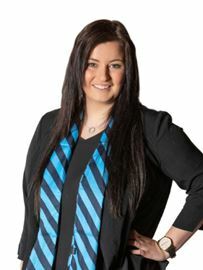 Laura is focused on continuing her growth and development in all aspects Property Management. Exceptional communication skills and professional manner has lead her to becoming a property manager and now has a great passion for the job. With her exceptional communication skills, kind, bright and upbeat nature you are in good hands when working with Laura. She understands the importance to secure the right tenants for your investment property. If you have any questions regarding Property Management, Laura would be more than happy to assist you. Great Sized For A Family Home! Brand New In Top Location! Oh What A Beauty !!!!!!!!!!! The Vendor Says SELL ! You Want It - You Got It ! Titled & ready to build! Perfection In The Hunt Club! Spacious & Ready To Go! Vogue Style In The East! A Home That Says Welcome! Tradies Paradise On One Acre! 2 SOLD! only 1 Left! Home for the extended family. All Stages Now Sold Out! Big House - Plenty Of Living! Make $$$$$ before you build! Secure Parking for Six Cars! Daddy, I want a PONY!!! You Want It - You Got It!